Definitely not, after hitting 50 on my bard which is my second class/job to max level. I’m not sure i would even consider this class a real Bard to begin with. I take that back, i am 100% sure it’s not really one. Don’t get me wrong, this job is a lot of fun from a damage standpoint and from a ranged standpoint. There’s no denying that, but it’s missing something. I love ranged bow classes that do not use pets since i find pets more of a nuisance than anything. I also love Bards and enjoy playing one for what they normally are. Somehow combining the two seemed like something i could get on board with but I’m just not feeling it. I think I’d have preferred Archer to split into a Ranger if anything and leave a full fledged Bard on it’s own. The Archer part feels right on the money for me. 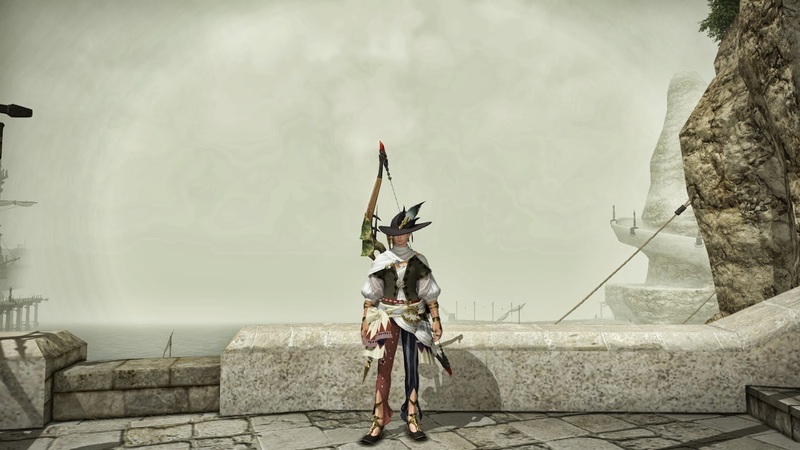 The ability to constantly move and fire shots without being rooted to the ground is something i did not expect after FFXI. The Ranger class in that game was about as mobile as a brick wall so it was nice to see a different approach this time around. I really enjoy Archer. The Bard aspect is what’s really lacking and it’s a real shame. I would have loved a full support Bard that, you know, actually sings songs. Not this one song at a time and DPS the rest of the time nonsense that we got. I enjoy buffing, debuffing, CC’ing, weaving songs, off-healing, and occasionally throwing out some damage when i can. I’m not sure how this could be accomplished without a rework of the party system to allow for a larger and more well rounded party size, but it would have been nice to see.